It might look like Daniel Boone's classic hunting folder, but it's got an impressive secret. The Homefront™ Hunter is among the first in the CRKT fleet to feature "Field Strip" technology. This in-field, no-tool take apart capability lets you purge your most reliable companion of whatever mud, blood, or grit you may encounter right where you are, without having to step foot back in civilization. It might look like Daniel Boone&apos;s classic hunting folder, but it&apos;s got an impressive secret. 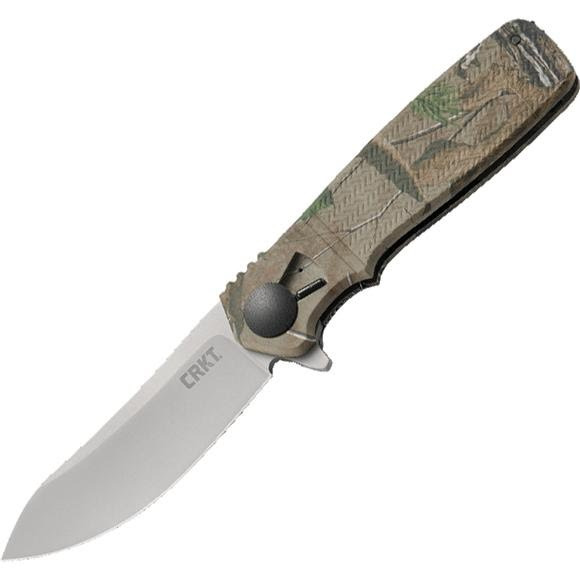 The Homefront™ Hunter is among the first in the CRKT fleet to feature "Field Strip" technology. This in-field, no-tool take apart capability lets you purge your most reliable companion of whatever mud, blood, or grit you may encounter right where you are, without having to step foot back in civilization. Ken is the real deal. The youngest ever inductee into the Blade Magazine Hall of Fame in 2008, he is recognized as one of the most innovative and successful knife designers of all time. In 1996 he created the first commercially successful assisted opening mechanism, and 20 years later unveiled his award-winning Field Strip Technology. As the designer of the successful Eros™ folder series, as well as the award-winning Hi Jinx™, Ken never seems to be at a loss for ideas.